Why you should eat liver. (And how you can get over the "ick" factor). Why you should eat liver. (And how you can get over the “ick” factor). In fact, in my head, eating liver was a bad idea. I mean, I took anatomy. I knew what the liver’s job was. Who would want to eat the organ that’s primary function is dealing with toxins. No thank you. But like so many other things in my life, I’ve changed my thoughts about liver. In fact, I think liver is pretty super. Kind of like superman, but not as attractive. Super Liver to the rescue! Historically speaking liver has a long tradition of respect and honor. It’s been considered a super food to help the battling warrior, a delicacy throughout the world, and was once believed to have almost magical curative powers. Um, Anti-fatigue factor? What’s that? Three groups of lab rats. The first ate a basic diet, fortified with 11 vitamins. The second ate the same diet, along with an additional supply of vitamin B complex. The third ate the original diet, but instead of vitamin B complex received 10 percent of rations as powdered liver. Putting aside the cruel animal testing (poor rats! ), liver clearly has some super powers. So let’s all eat liver! What about all those toxins? As I mentioned early, one of the primary roles of the liver is to neutralize toxins. But the liver doesn’t store toxins, instead it stores a lot of powerful nutrients that the body uses against the toxins. Keep in mind that the best liver comes from the best animals… those who were raised humanely and appropriately. The best choice is liver from animals that spend their lives outdoors and on pasture. The next best choice is organic chicken, beef and calves liver. If you don’t have access to quality liver, and your local Walmart is your only option, try to find calves liver as in the U.S. beef cattle do spend their first months on pasture. Livers from conventionally raised chicken and hogs are not recommended. But I can’t eat liver. It’s just so…. icky! I hear you. Really, I do. I had read plenty of literature on the benefits of liver before I ever ventured out to buy some. And when I did it sat in my freezer for far too long. Liver has a strong taste, to say the least. For many people it’s a familiar and delicious taste. But if you grew up on a Standard American Diet you may need a little help eating liver. Here is my easy method for getting more liver into your diet… without dealing with the flavor. What to do with my liver cubes? It’s best to hide liver in dishes with lots of spices and flavor. I can usually throw 2 or 3 cubes into our taco meat without anyone knowing a difference. Chili is another great place to use these cubes. Spaghetti with meat sauce. Etc. The possibilities are endless. Start small… use one cube and see how it goes. If you can’t tell the liver is there, add another next time. Start by adding liver into one dish a week. See, It’s really not that hard to boost your nutritional profile. Grab a bottle of my favorite dissected liver capsules. This liver comes from grass-fed, pastured-raised cows. It’s a super easy way to boost your body with nourishing real food… no icky involved. Get them here. 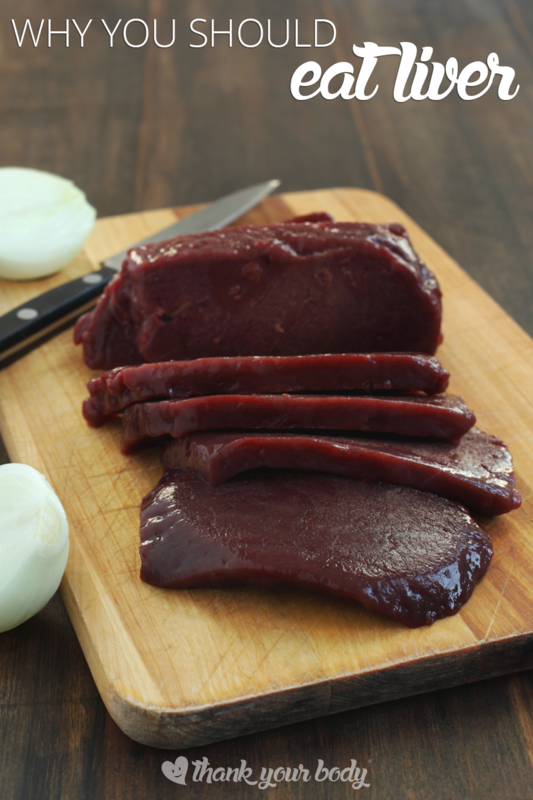 What’s your favorite way to eat liver?